The full acquisition of photovoltaic power generation for the park for three consecutive years and the establishment of a one billion yuan special fund for photovoltaic industry development... As many PV companies have lost ground, Zhejiang Photovoltaic High-Tech Industrial Park was officially listed in Xiuzhou District of Jiaxing recently. This is also the core platform for the â€œFive in Oneâ€ integrated innovation pilot of the photovoltaic industry in our province. Can this bring many warm suns to the photovoltaic industry in the deep winter Zhejiang? â€œThe content of the pilot project involves almost all the bottleneck problems encountered by China's current photovoltaic industry. Zhejiang can start with the roots, systematically solve various problems faced by the photovoltaic industry, and promote the overall development of the industry. This is a brave innovation.â€ China Electronics Lin Xuyang, Director of Electronic Industry Division of Technology Group Corporation said. Yes, when the storm hits, any forward steps are worth looking forward to and encouraging. Market Expansion Hedging Overcapacity If the crackdown hits one after another, the confidence of the entire market in the photovoltaic industry will be lost. Then, the â€œFive in Oneâ€ innovation comprehensive pilot work conference for PV industry in the province held in Jiaxing on December 14th provided warmth to Zhejiang PV companies in the winter. The reason why Jiaxing was selected was because: In 2011, the output value of the photovoltaic industry in Jiaxing of the city reached about 20 billion yuan, accounting for 1/3 of the province's total photovoltaic output value. Warmth first comes from the positioning of the photovoltaic industry. The meeting made it clear that excess capacity is relative, and the real problem lies in the lagging domestic market. With the rebalancing of supply and demand in the market, PV is still the main direction of the new energy industry. â€œThis positioning is precious for the development of the photovoltaic industry,â€ said Professor Chen Zhexi, chairman of the Zhejiang Renewable Energy Association. Zhou Jianhong, general manager of Ningbo Ridi Solar Power Co., Ltd., calculated the account: 1GW photovoltaic power station is about 20 square kilometers, and 1000GW is about 20,000 square kilometers. This area is only 1/10 of the area of â€‹â€‹the Qaidam Basin, but it is estimated that China's current production capacity of 40 GW components will take 25 years to complete; in the 48 billion square meters of building roof area in China, assuming 10% of the photovoltaic system is built, A 500 GW solar cell market will be formed. "If the domestic photovoltaic market opens, can we have excess capacity?" The accumulation of the photovoltaic industry in Zhejiang over the past few years also laid the foundation for the entire industry to break through. "After these years of development, Zhejiang's photovoltaic industry has certain industrial competitive advantages. Whether it is the integrity of the industrial chain or the ability of technological innovation, it is in a leading position in China." said Cheng Fang, a provincial inspector of the Economic and Credit Commission. Electricity price subsidies to crack photovoltaic pain Distributed power generation has been recognized as a breakthrough in the domestic market, and rooftop photovoltaic power generation is one of the main modes of distributed generation. As the core platform of the â€œFive in Oneâ€ innovation comprehensive pilot, Zhejiang PV High-tech Industrial Park will vigorously carry out innovation and pilot work for the roof photovoltaic industry. Xiu Zhang, deputy head of Xiuzhou District, said that in the future, this industrial park with a planned area of â€‹â€‹14.2 square kilometers will become the first large-scale use of photovoltaic power generation system in the province. According to the plan, the conditional roofs of buildings in the industrial park will all use photovoltaic power generation systems. By 2016, the installed capacity will be 50 megawatts and the 100 megawatts will be achieved. But achieving the goal is not easy. Zheng Zhidong, senior vice president of Jihui Solar Energy Co., Ltd. stated that due to the limited sunshine and sunlight in the province, the cost of photovoltaic power generation in the province is still around 1.3 yuan. According to the current online power price of 1.182 yuan implemented in the province, it is impossible to Investors are enthusiastic. It is based on this reality that at the Jiaxing meeting, the State Grid Corporation, the Provincial Price Bureau and other units have reached consensus on power generation acquisitions, on-grid tariffs, commissioning, testing, etc. to ensure the pilot advantages of Jiaxing, and the province will give photovoltaics for three consecutive years. Special funds, the full acquisition of the park's photovoltaic power generation. 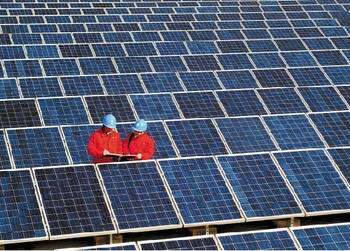 Many reporters learned that the current industrial park is planning to provide 0.3 yuan per kilowatt-hour subsidy for photovoltaic power generation projects in the park. "Now this subsidy program is being submitted to the process." Zhu Yibin, deputy director of the Xiuzhou District Administrative Committee of Jiaxing City, said. According to its disclosure, this subsidy program is for a period of 3 years. The reporter also learned that in addition to the 0.3 yuan subsidy price, the industrial park will enjoy the same preferential policies as the 14 industrial clusters in the province. "Subsidies are just a means to open up the market. The future is fully based on technical innovation." For government subsidies, Zheng Zhidong is calm. Electrolytic copper is a non-ferrous metal with very close relationship with human beings. It is widely used in electric, light industry, machinery manufacturing, construction industry, national defense industry and other fields, second only to aluminum in the consumption of non-ferrous metal materials in our country. Copper is the most widely used and widely used in the electrical and electronics industries, accounting for more than half of the total consumption. For a variety of cables and wires, motor and transformer windings, switches and printed circuit boards. Used in the manufacture of machinery and transport vehicles for the manufacture of industrial valves and fittings, gauges, sliding bearings, molds, heat exchangers and pumps. In the chemical industry is widely used in the manufacture of vacuum, distillation pots, brewing pots. In the defense industry for the manufacture of bullets, shells, guns and other parts, each producing 1,000,000 rounds of ammunition, the need for copper 13-14 tons. In the construction industry, used as a variety of pipes, pipe fittings, decorative devices.